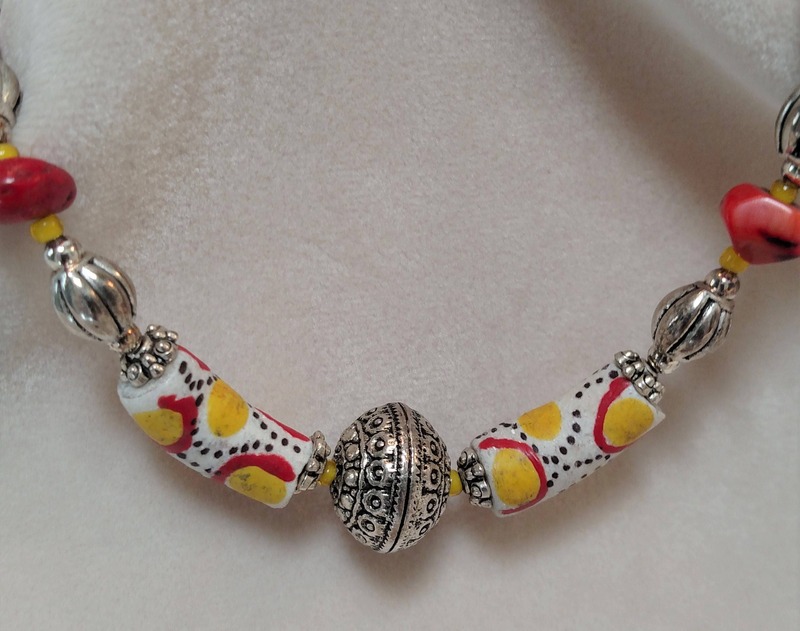 Wow, this one is truly fun to wear; a lot of color. 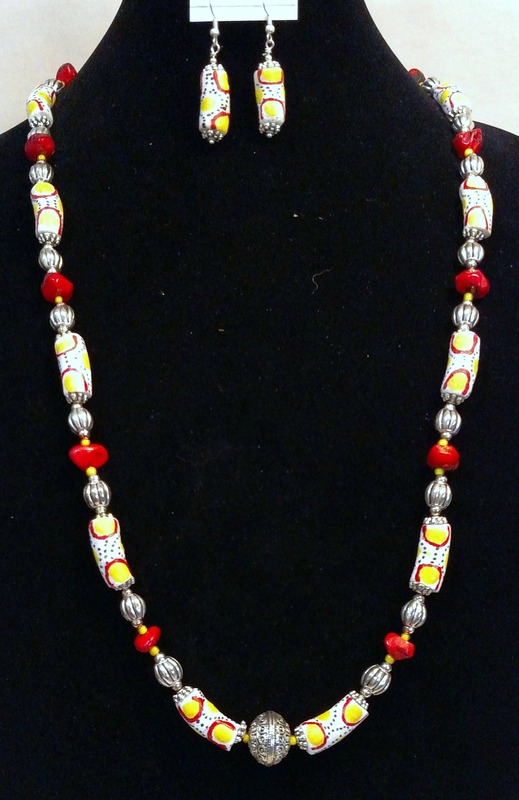 The African bone beads are hand painted in beautiful pure yellow, reds and whites all set off with real coral beads and silver-toned beads. 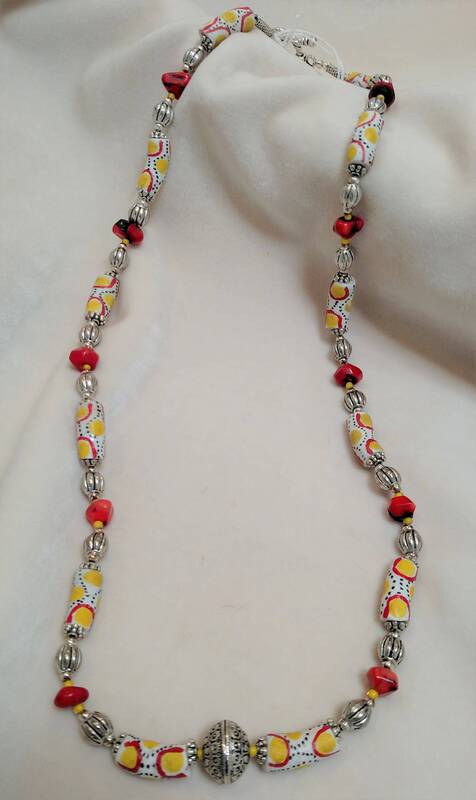 This necklace is long enough to wear with a collar or a turtleneck. There's a choker that matches this necklace on sale in the Sale Section. There's also a pair of matching earrings; #17 in the Earrings Section. They all look truly great wearing them together.